Stain removal can rightly be seen as a form of art. As fun as a successful stain removal job is, tales of terrible stains removed completely can create unrealistic expectations in people, leading them to overestimate the capabilities of even the best professionals in the business. Don't worry, though – we're far from pessimistic when talking Corpus Christi stain removal. Getting this delicate task right involves a lot of experience that gives one a great deal of familiarity with carpet materials and how they interact with various foreign substances – luckily, we have this in abundance. Before going into our method further, there are some rules to establish. First, the longer a stain is left unattended, the harder it will be for us to remove it. This is simple science: each additional minute that a spill has to work lowers our chances of complete removal. Furthermore, a carpet's age and the materials used can greatly impact our chances as well – not all carpets are fit to handle some of the more aggressive cleaning substances, making stain removal a difficult prospect in these cases. With the tone of the above, one might think Corpus Christi Carpet Cleaning Pros stain removal jobs aren't that successful. Rest assured that the opposite is the case, however: we enjoy a terrific percentage of successful removal jobs and have earned our customers' trust time and again. 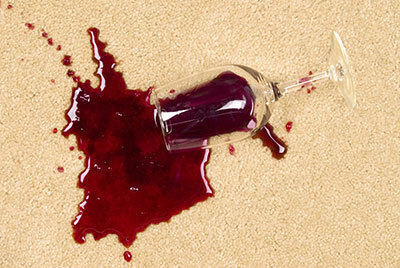 Before contracting anyone for stain removal, you should first make sure that they have your carpet's well-being in mind. Everyone attempting to remove a stain should understand that efforts to help can do more harm than good and that aggressively attacking the stain can actually cause an even greater discoloration. Our technicians understand this very well, which is why we never damage any of the carpets we work on even when the stains are refusing to leave. Since we like being realistic in our assessments, we can't give you an overview of how effective our efforts will be and what your carpet's chances are without seeing it first – there are simply too many individual variables in each stain removal job for guesswork. What we can tell you, however, is that your carpet's stain will be treated by top professionals who understand carpets and have a vested interest in their preservation. While we work, you can expect us to use only safe cleaning solutions and employ techniques that aren't detrimental to your carpet in any way. We've said that people will sometimes exaggerate our stain-removing capabilities, but there's the other side of the coin as well: people throwing away their carpets because they don't think a stain is removable. We get that certain stains fill people with a grim outlook, but we urge each and every one of our potential customers to let us have a look at their carpets before making any rash decisions. 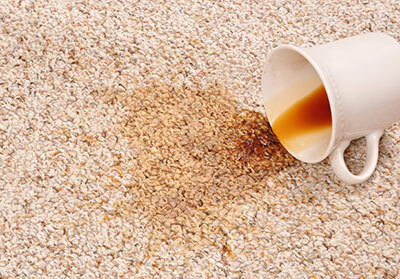 It doesn't matter if the stain came from oil, coffee or a similarly-notorious substance – in most cases, you'll be able to avoid having to throw away your stained carpet, potentially saving hundreds or thousands of dollars while continuing to enjoy your precious possession.